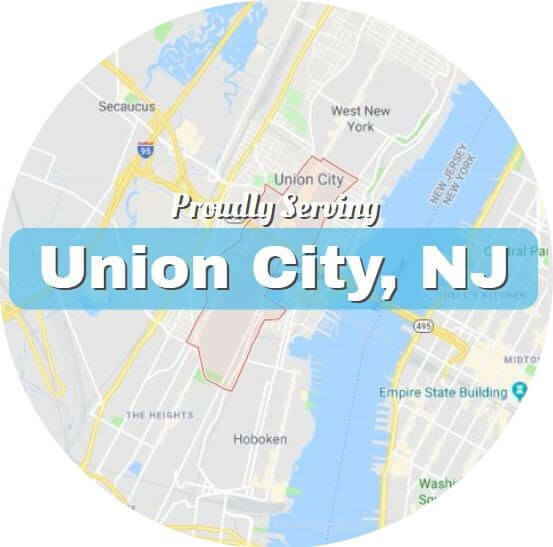 UC Towing Service is proud to be highly rank for all types of roadside services in Union City, New Jersey. Over the years we’ve built our reputation and company values around three principles of service. These are the three things that matter the most when you’re wreck, so these are the things we guarantee with each call. Nobody gets into the towing business to get rich. If that was your goal, there are many much easier ways of doing it! When we get a call, no matter what time it is or the weather outside, we get our gear and head out. For us, every call comes with a great sense of urgency, even if it might sound minor at first. Factors like weather, temperature, and time of day or night can greatly increase risk of danger and injury even when handling a minor incident. Not to mention the fact that being stranded anywhere for any length of time is unpleasant, stressful, and frustrating, and we take that seriously. Our roadside assistance services have never been better quality with faster response times, and our prices have never been better. Whatever your roadside problem is, call us at 551-239-1459 right away and we’ll have an experienced professional on his way directly. After years of responding to countless roadside situations, our professional towing and roadside assistance experts are not only supremely experienced, they are qualified and well equipped to handle any problem you have. Whether you’re stuck due to a flat tire, locked out of your vehicle, or have just been in a wreck, we understand your situation. The circumstances are frustrating and stressful, and we take that very seriously. If you’ve been bruised in your roadside accident, please don’t worry about your vehicle any longer. Your health and safety are the only things that truly matter here. We are the experts in our field and will smoothly handle the vehicular side of things. Time drags by when you’re stranded, and conditions can worsen quickly. Please don’t waste any time in calling us so we can dispatch an experienced pro to your location right away. The sooner we hear from you, the sooner we can resolve the situation you’re in. Above all, stay safe! Very few things in life are as stressful and anxiety inducing than being involved in a wreck. No matter who’s fault it was, they really throw a wrench into your daily plan. They can happen any time without warning, and we completely understand the unpleasant nature of the situation. As always, your health and safety are the 1st priorities. If you’ve been bruised or bumped during your wreck, make sure any responding emergency personnel take a look at you for anything serious. Be sure to document whatever injures you might have as well, for the sake of insurance coverage. Other than that, do your best to take care of yourself. The last thing you need to be stressing over is your vehicle. Our wrecker service providers have been in the area for years and have responded to countless accidents. Whatever your situation is, our qualified professionals can handle it. All you need to do is call us at 551-239-1459 and give us your location and the nature of your wreck. We’ll get a tow truck driver on his way to you right away. Once he arrives he’ll work closely with the scene authorities to load your vehicle up, and then you just need to tell him where you want it taken. If you need a ride, just ask as well. We’ll make sure you and your vehicle get to where you need to be. Our 24 hour tow truck service is available all over Union City, from day and night and any weather. If your vehicle’s break down and needs to be bring to a shop, just give us a quick call. We’ll get your vehicle and you where you want to be fast and affordably. A flat tire or a blowout is a big pause button on your transportation plans. You can’t put it off or you’ll seriously damage your vehicle, but if it’s really hot outside, really cold, rainy, snowy, etc. or you’re not sure how to change a tire it can be a daunting task. The good thing is that our flat tire assistance service is very fast and very affordable, so if you don’t feel confident in changing a tire (or simply don’t want to), we can do it for you. If you’re not experienced in changing a flat tire or having done it before, consider giving us a call rather than trying it this time. A tire put on incorrectly can actually come off during transit. This can throw your vehicle into a spin or a skid, which could send you off the road or into another vehicle. Don’t take the chance! It doesn’t mean you need a tow just because your car won’t start. This can often be a dead battery. And just because a battery’s dead doesn’t mean it’s gone for good. Our battery jump start service is for those who’s vehicle won’t start. We’ll arrive quickly and find out if your battery can hold a charge. If it can, then fantastic! You’re on your way again. Just give it enough time with the engine running for the battery to recharge. If it doesn’t, then no harm done, we’re already there and will be happy to bring you and your vehicle anywhere you need to go. Run out of gas? It’s such an unpleasant, stressful experience. It used to mean you’d have to walk miles down the road in any kind of weather or try to hitchhike with someone willing to give you a ride to the nearest station. Well, the world isn’t as safe as it once might have been… hitchhiking is dangerous, and there other dangers associated with walking down the side of road by yourself. Our fuel delivery service is for those who’ve run out of gas, and want to get back to moving quickly, conveniently, and affordably. After all, why walk for hours when we can have fresh fuel to you in a matter of minutes? Just give us a call anytime! 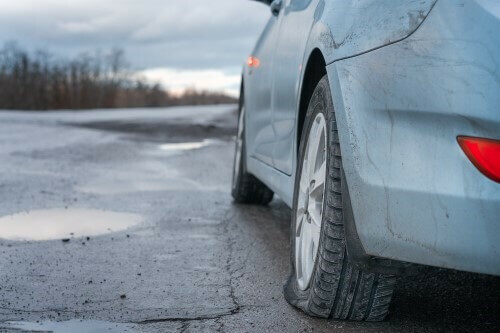 You’re only a wheel or two from being stuck in the mud at any one time… Whether your vehicle is in a ditch or stuck in a patch of mud, our tow truck professionals can get you back on solid ground ASAP. Just give us a call at 551-239-1459 and we’ll dispatch one to you right away.